Magnets are the best ways to endorse a company, a product or an event. Promotional magnets are also great for raising funds, wedding announcement or graduation announcement. 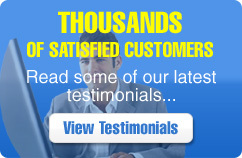 They are the cheapest and most effective way of endorsing a business among various clients. Our company offers colorful and artistic promotional magnets on which you can imprint your company logos and text and distribute them according to your needs. Our magnets are very illustrative and a company does not have to spend much on promoting a business. Our low cost and effective magnets are available in wide range of colors and have a laminated finish. A definitive business promoter!